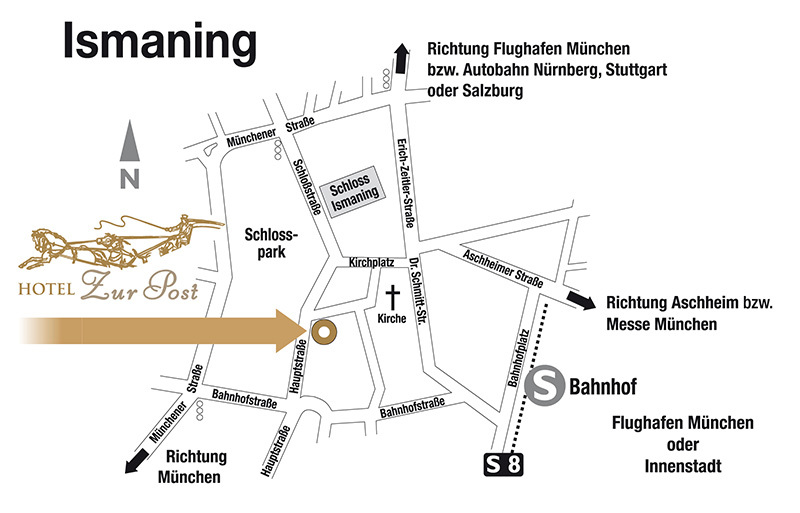 In the heart of Ismaning, north east of the city of Munich, in close proximity to the Allianz Arena, trade fair, MOC and the Munich Airport our hotel is centrally located and your ideal starting point to discover the attractions of Munich or to attend a soccer match of the FC Bayern. 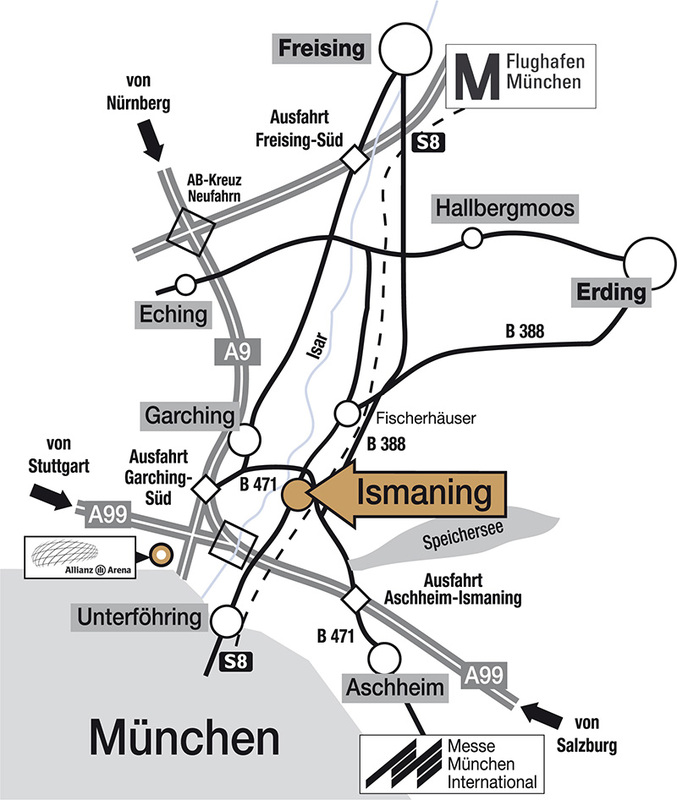 The S-Bahn station (airport line S8), which connects you directly to the airport or the city center of Munich, is only an 8-minute walk (about 500 meters) from our hotel. In the heart of Ismaning, north east of the city of Munich, our as a family business runned hotel with 82 rooms, meeting room, underground parking and hotel bar awaits you.